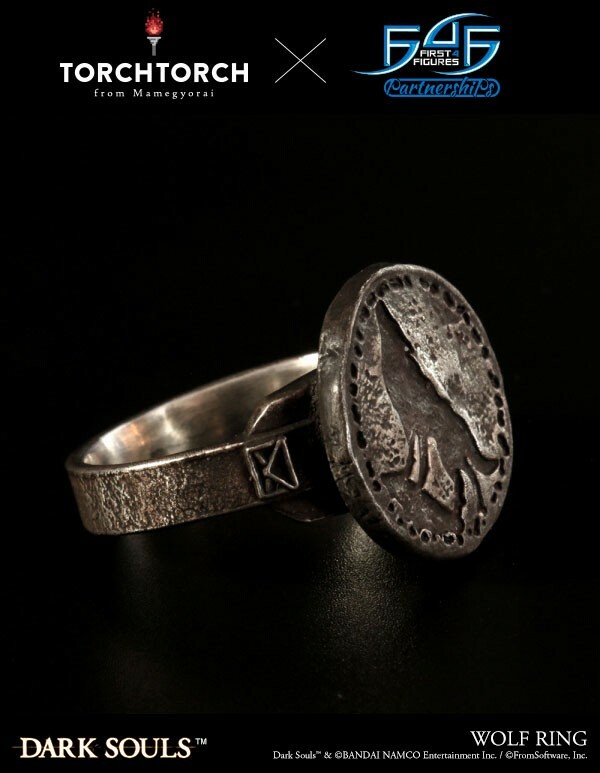 The Wolf Ring is an equipable item that makes appearances in both Dark Souls and Dark Souls III. Wearing it increases poise. 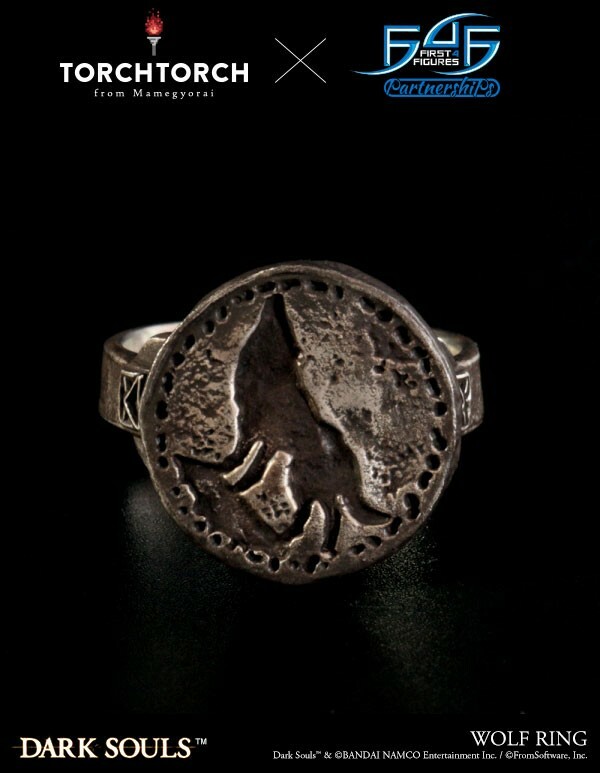 Fans of the series like this ring for its usefulness during gameplay and also because of its connection to the very popular character Knight Artorias and his role in expanding the lore of the world. 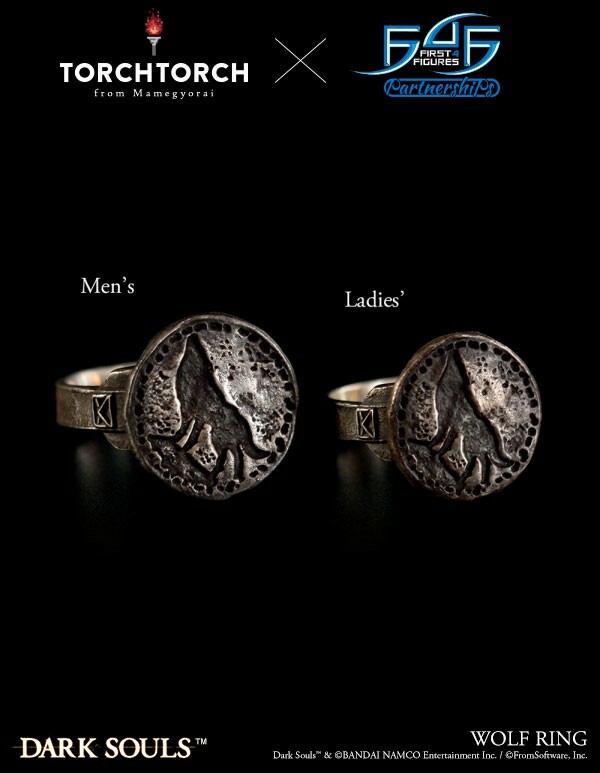 F4F Partnerships is proud to bring you another highly detailed Dark Souls ring from Torch Torch. 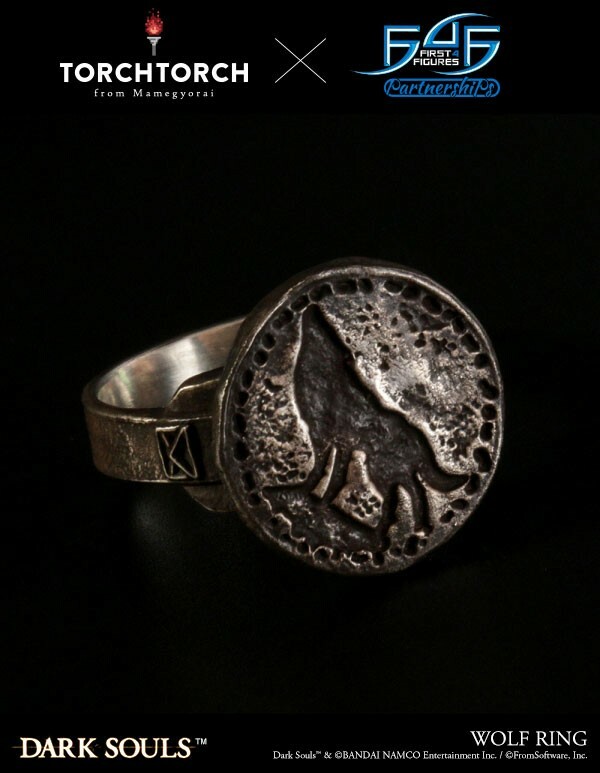 ※Special, time consuming methods are used in the processing to faithfully reproduce the color and design of the "Wolf Ring" as closely as possible. Heavy use may cause some surface color to fade. 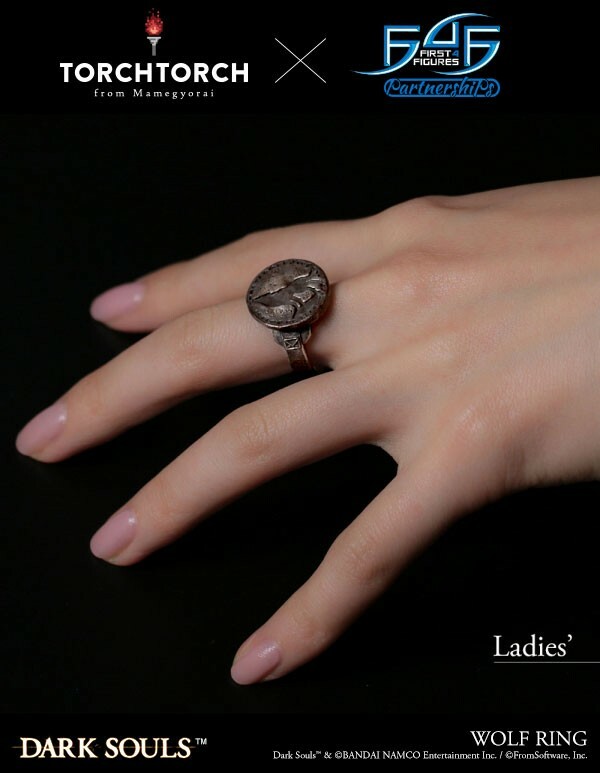 ※The rough finishing and scratching are intended to give it an authentic, realistic look. 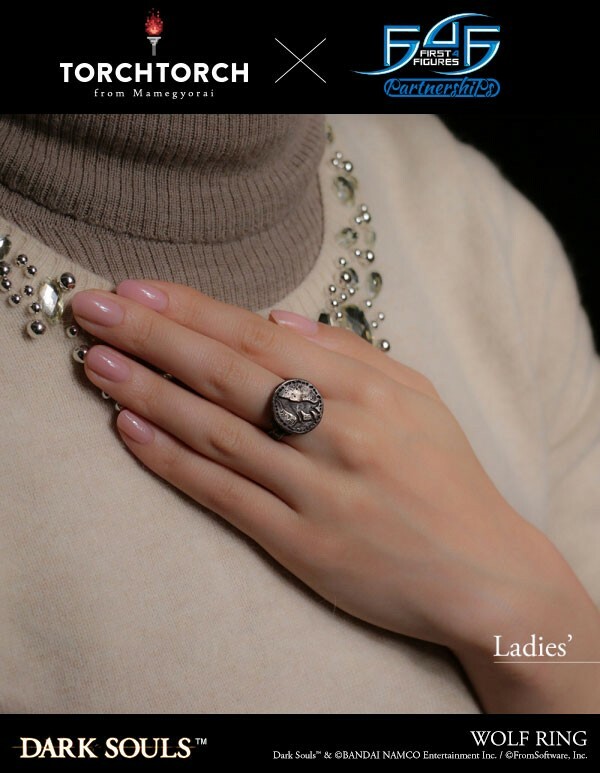 ※All of the products are individually hand made in Japan by professional craftsmen, each item may not be the same and may have slight differences in color and details. 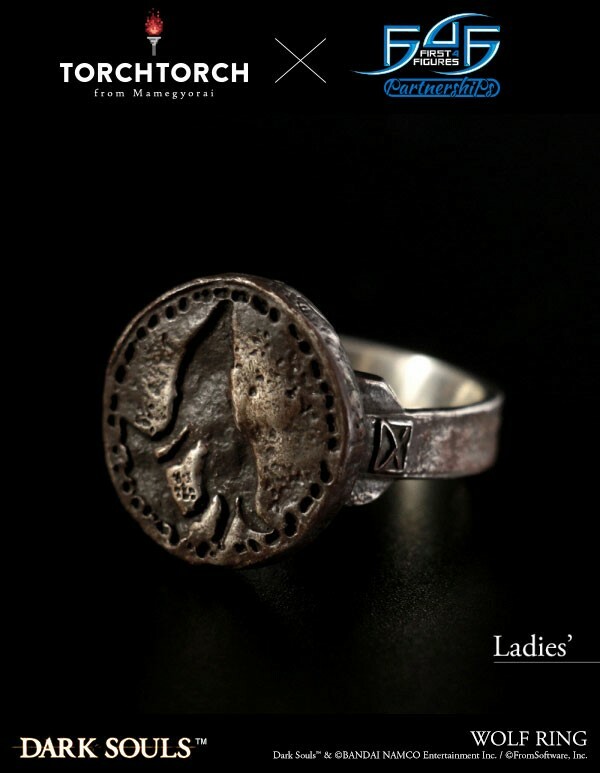 ※Ring size cannot be changed after pre-order deadline. You will earn 880 F4F Reward Points for purchasing this product. 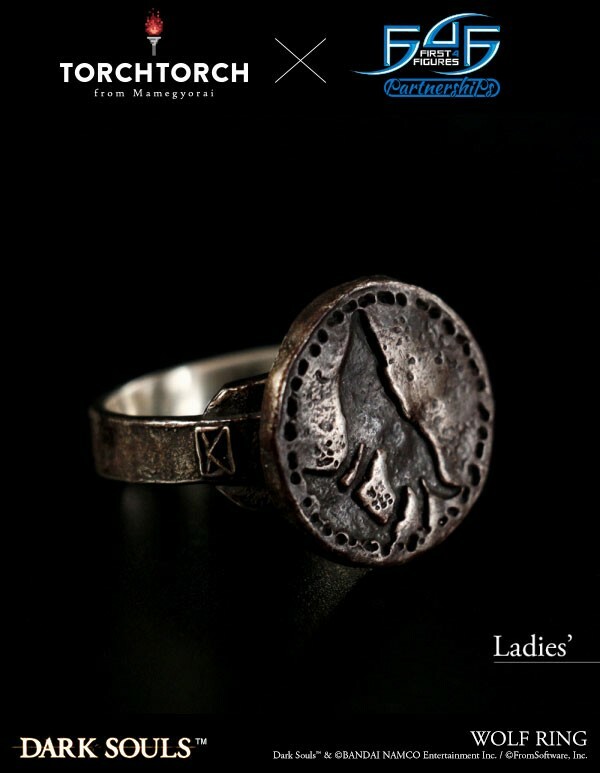 As Artorias was able to traverse the abyss, this ring has been transported from a different realm to find itself in ours. 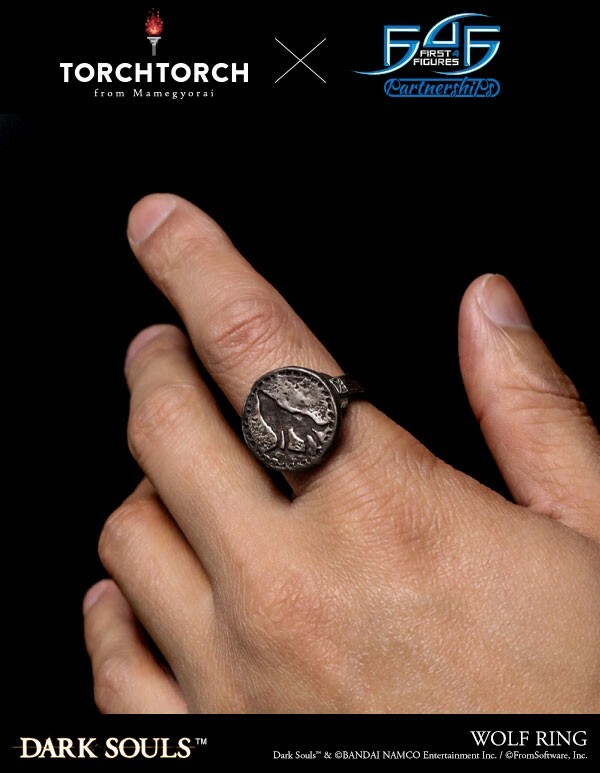 Not only is this a perfect replica in form, it also carries a feeling of authenticity that has been expertly crafted, as if hand cut by an artisan of a different age. 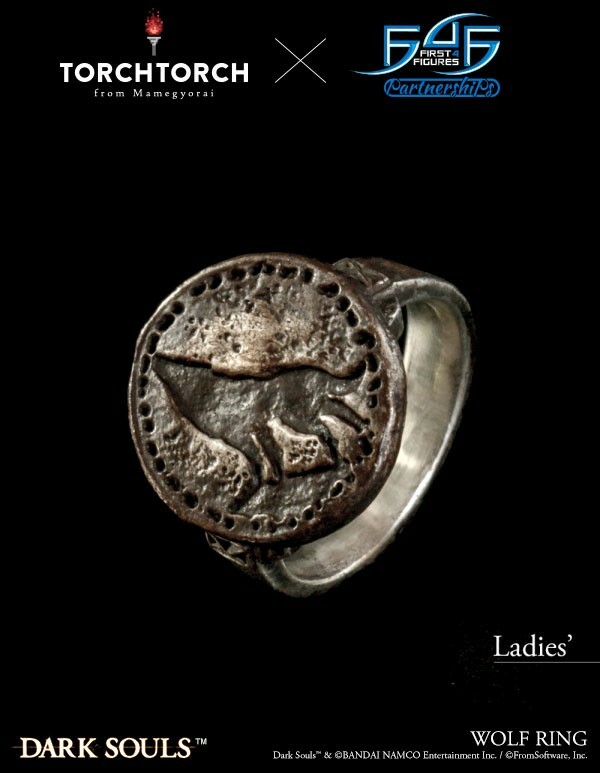 Through a long and detailed process this ring, made of Silver 925, has been given a look and feel that portrays the age, weight, and somber atmosphere of the Wolf Ring and the world it came from. 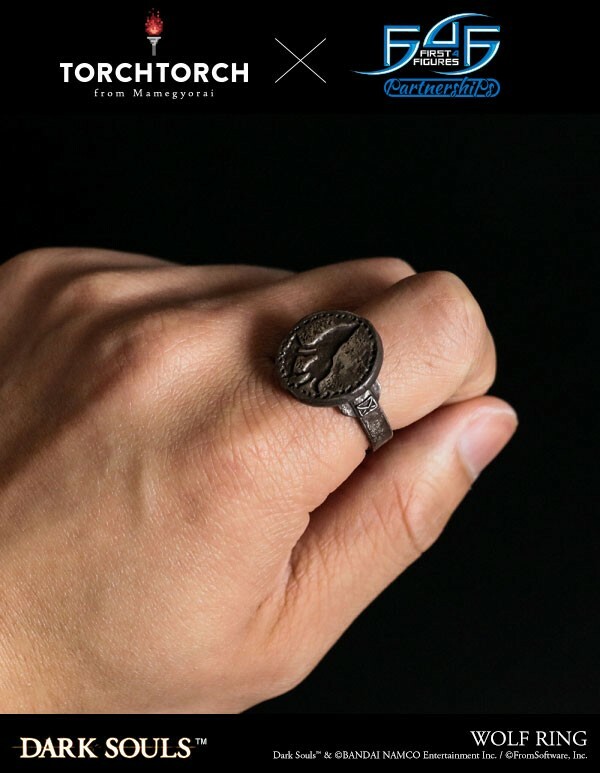 This ring was created with approval of From Software, making it a bona fide part of the Dark Souls world and carries with it the creativity of those who crafted that world. The rough finishing and scratching are intended to give it an authentic, realistic look. 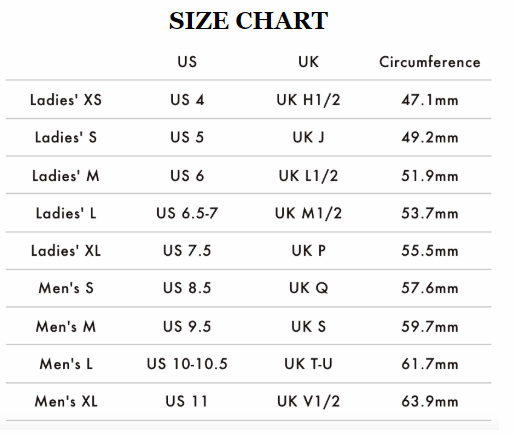 All of the products are individually hand made in Japan by professional craftsmen, each item may not be the same and may have slight differences in color and details.